All the native GPIO pins on the XU4 operate at 1.8V. However, many devices support only 3.3V or 5V. 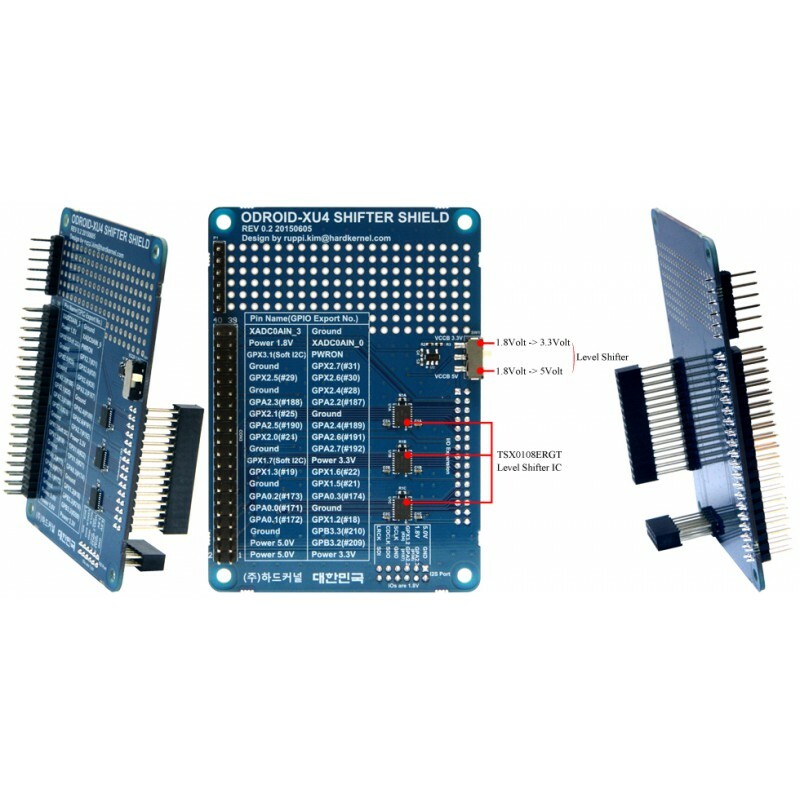 This level shifter board contains 3 x TSX0108E bi-directional level shifter ICs. 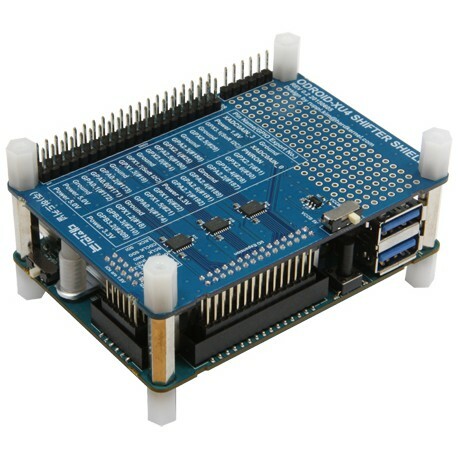 The 30-pin and 12-pin GPIO ports on the XU4 are converted to the more common 0.1inch (2.54mm) pitch 40-pin header. 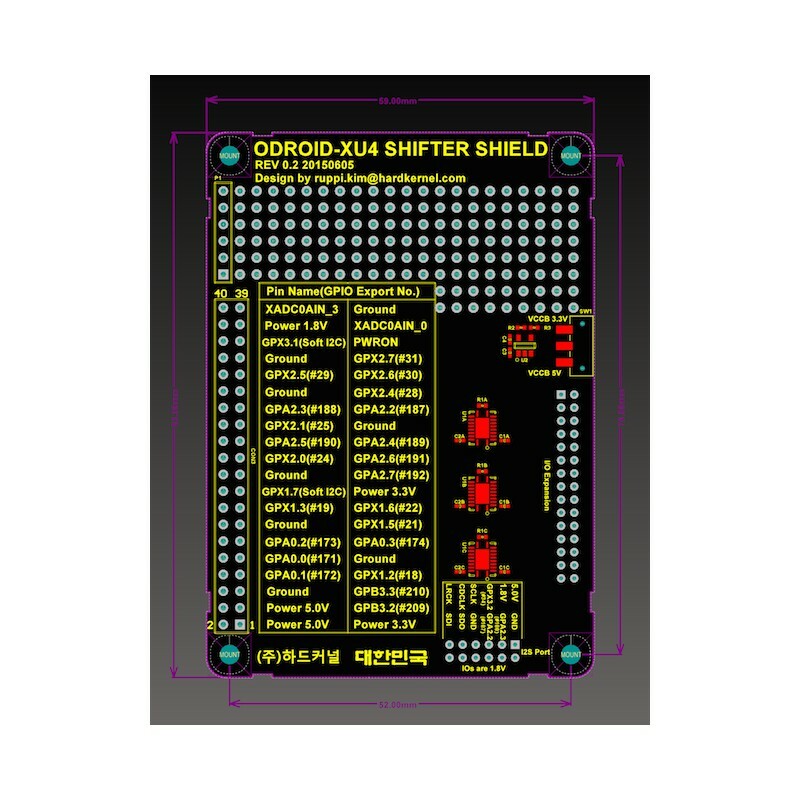 All the signals can be level shifted to 3.3V or 5V. You can choose the voltage with a small hardware slide switch on the board. 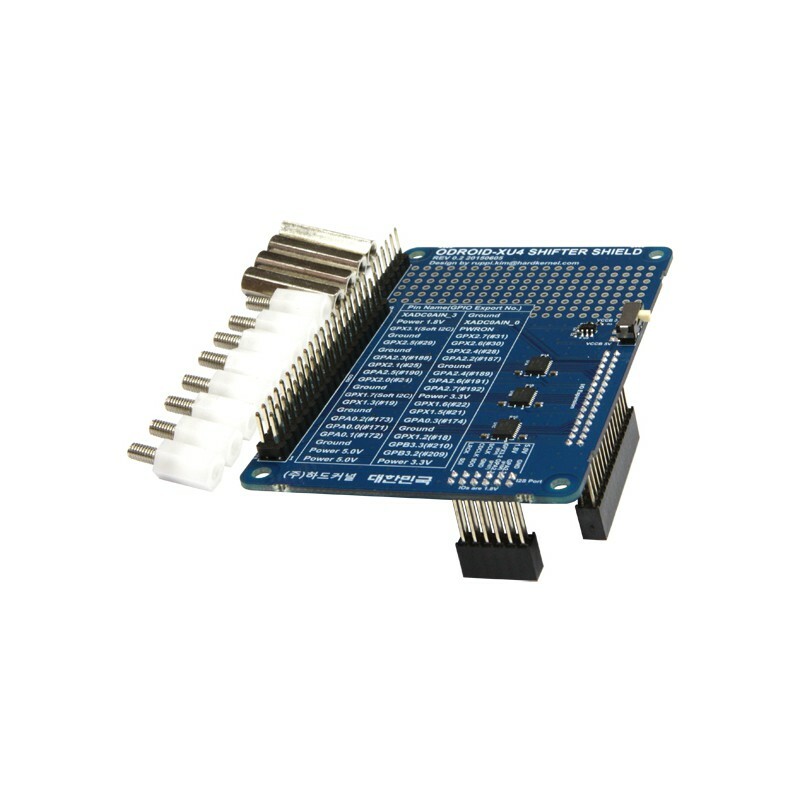 The 40-pin header pin map is compatible with the ODROID-C1 and Raspberry Pi/Pi 2. 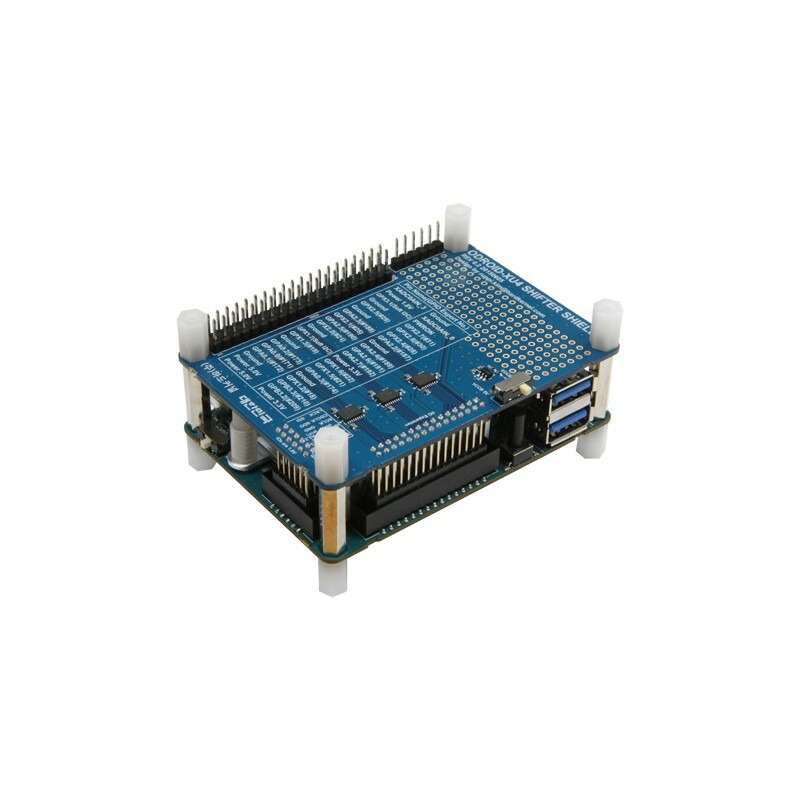 We are working on the WiringPi compatible libraries to simplify development. The XU3/XU3-Lite requires modification or removal of the 12-pin socket on the XU4 Shifter Shield. The maximum output current is 4mA. Extra driver circuits may be required to control LEDs, motors or other devices that require more than 4mA.